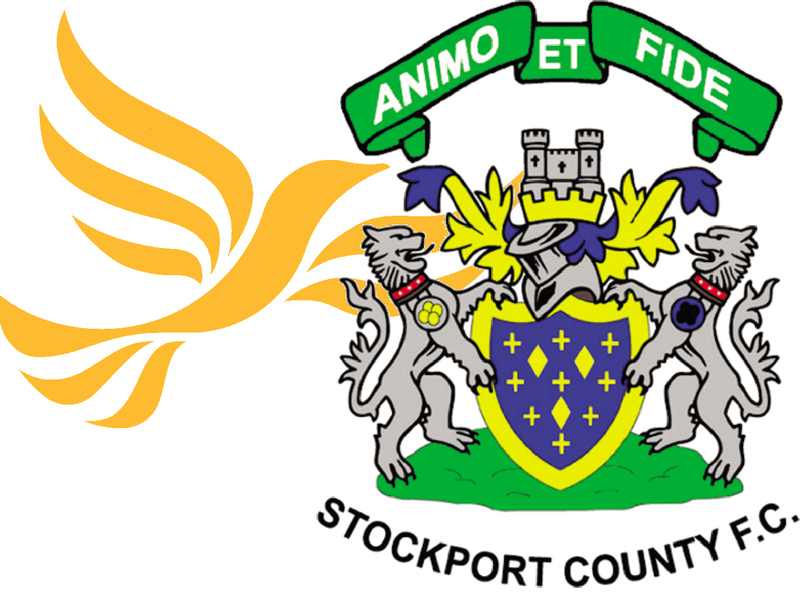 Sue Derbyshire and the Stockport Lib Dem team are calling on Stockport residents to help local football club Stockport County in its hour of need. Last season County were relegated from the Football League for the first time in more than a century and the club faces a severe financial crisis. Lib Dems at the Town Hall wanted to help County with money the council saved when carrying out a government initiative. County forms an important part of the community, not only as a major sporting facility provider but also for small businesses throughout Edgeley, Davenport, Cale Green and Shaw Heath that depend on the business County provides to the area. But the initiative was blocked by Labour councillors who insisted that the money be spent elsewhere, despite County’s perilous financial position. Council leader Dave Gohe funding would have had no effect on Council Tax payers or services in the borough, but would have demonstrated the town’s support for County to potential investors in the club. “County forms a big part of our community and an important part of our local economy, especially for small businesses near Edgeley Park,” said Council Deputy Leader Sue Derbyshire.